#1: The Conflict Question – Employers love to ask potential employees how they have overcome conflict in the past. Sometimes employers will make this question job specific. Other times, they keep it general on purpose just to see your response. Regardless of the specificity, keep your answer professional. Even if you’ve never held a public job, pick some sort of conflict you overcame from being in an organization or school project. Highlight the positive outcome of the conflict, have several answers in mind, and present the information with confidence. This isn’t the question you want to seem hesitant about! #2: The Creative Question – Coming in at number two on the list of interview questions you should be ready to answer, this one involves creativity. When asked by employers, however, it isn’t about your high school art project. Rather, it’s their way of seeing if potential employees have the mindset to come up with new ideas for their company or organization. They frame the question like this: “name a time when you came up with a different way of doing something that worked.” Again, stay professional with your response. Also stay simple, as you don’t want to go into a long story during an interview. #3: The Goals Question – Tell the truth about this question as much as possible. While you may want to become the greatest novelist on earth some day, that’s not what the employer is asking you. Give them a sampling of short-term and long-term goals, but always highlight the importance of the sort of employment you are seeking with the company. If you plan on quitting in a year and moving to Europe, you need to find some way to respond to this type of question without giving away that plan! 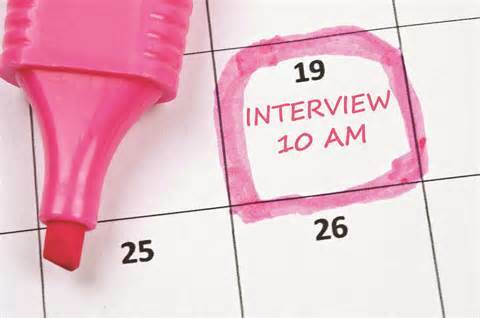 #4: The Last Question – Most employers will ask you this question right at the end of the interview: “Do you have any questions for us?” Always have a question or two in mind to ask, such as a question about the company itself and a question about the particular position for which you are interviewing. This will show your interest in the company and your interest in getting hired! For more information about interview questions, contact us.